Dreams Dominicus La Romana is a new beachfront resort located in Bayahibe, a popular beach destination and fishing town on the southeast coast of the Dominican Republic. The all-inclusive resort offers something for everyone, including island hopping to nearby Saona Island, an onsite PADI diving center, expansive spa, and kids’ club with treasure hunts and movies on the beach. There are 391 rooms at the resort, ranging from deluxe tropical view to large ocean view suites. 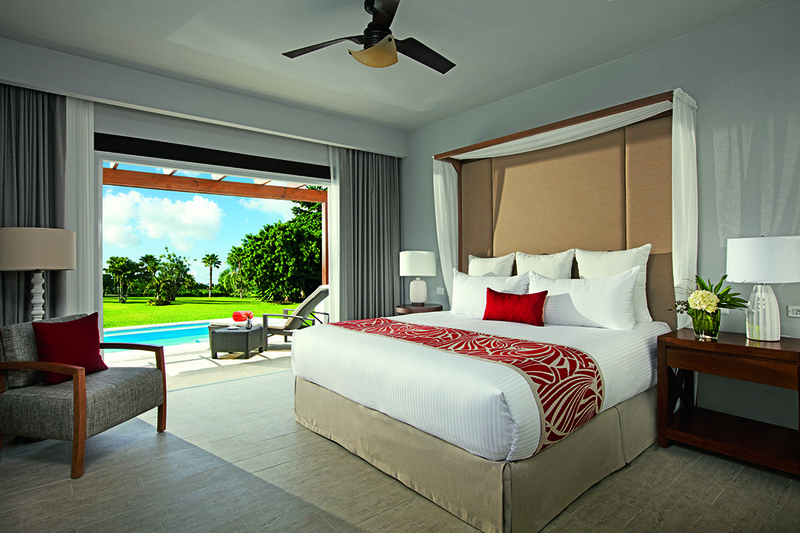 Swim-out suites are available with direct access to the resort pool. All rooms have a balcony or patio. Dining options at Dreams Dominicus La Romana include a buffet, a grill, a cafe, and five a la carte restaurants featuring French, Asian, and Italian cuisine. Pizza and snacks are available in the afternoon. The resort has three pools and offers water sports, a nearby golf course, tennis, dance lessons, theme nights and more. Dreams Dominicus La Romana is located 20 minutes from La Romana International Airport and 40 minutes from Punta Cana International Airport. For more information, visit Dreams Dominicus La Romana’s website.